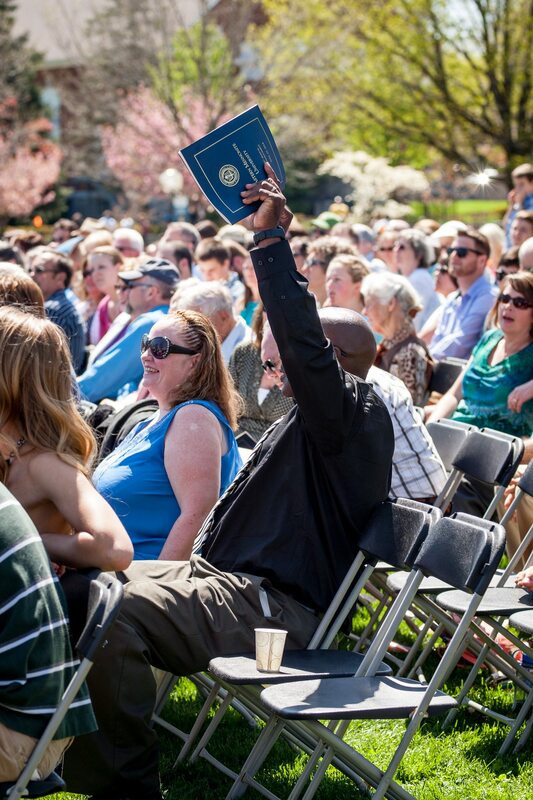 Under a postcard-perfect blue sky at Eastern Mennonite University, 467 members of the graduating class of 2014 heard Nobel Peace Laureate Leymah Gbowee call them to “take action in the present” rather than be paralyzed by uncertainty about what their future holds. 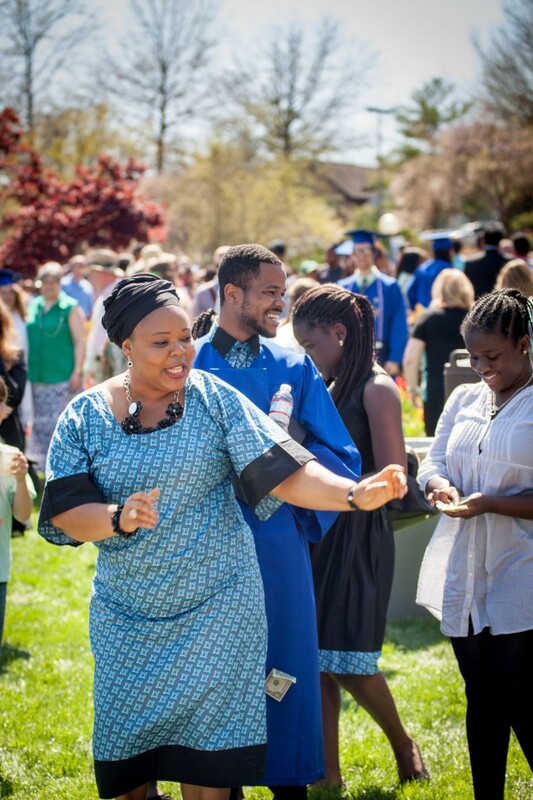 Mensah, a digital media major, was one of 351 students receiving bachelor’s degrees. Eighty graduate degrees were conferred, including the first graduates from EMU’s two-year-old MA in Biomedicine program. Graduate certificates, associate degrees, and pastoral ministry degrees were also conferred. Among the thousands of family members and friends in the audience were 10 relatives of Andrew Thorne, a well-known figure on campus for his basketball prowess. Less well-known is that he flunked out of EMU after his freshman year. You need to really focus and finish strong! You can see the light at the end of the tunnel so keep grinding! Years from now, I need to be able to tell other recruits about ‘Andrew Thorne’…where he came from, what he had to overcome, the contributions you are making to society, and the successful life you are leading now. That’s where this story needs to go over the coming years. Get it done.